If its not already, it will soon be on the back of one of our trucks and on the last leg of its journey to your dealer. Hope you enjoy your new car. I have an NX with sequential indicators and to partially answer the original question, no i have not found any way of changing the way the indicators operate. Weather it is possible at the dealer, i dont know. Originally i didnt like them, but i have to say, they are growing on me. Hi Ian, Congratulations on your purchase, i hope you like the NX as much as i do. I was in a similar position to yourself about 18 months ago. I had an RC, beautiful car, stunning to look at but like yourself, a bit too low to get in and out of. 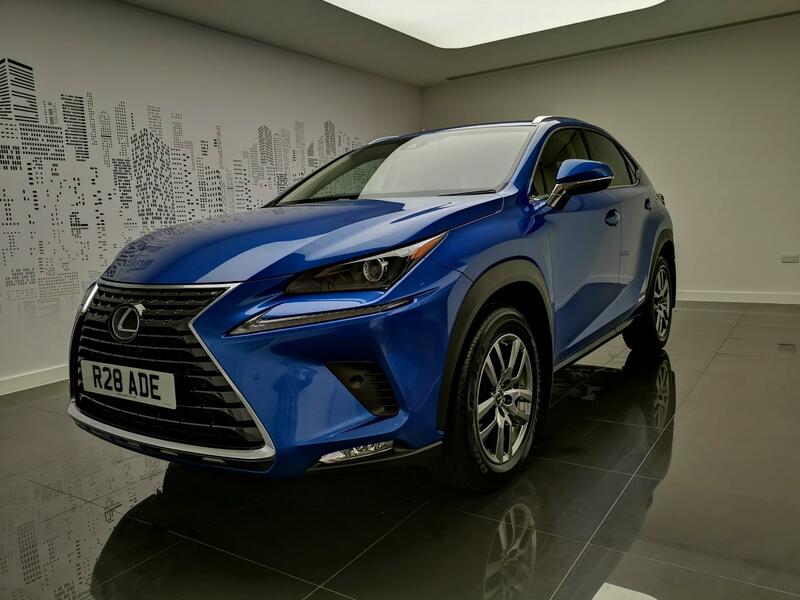 Lexus Cardiff did me a great deal on my first NX which was a 66 plate ex demo in sonic white. I would still have it had Cardiff not made me an offer i couldnt refuse. In fairness the new one is better in a couple of areas, so im really glad i changed. I love my NX and the Lexus brand in general. I hope you are as happy with yours as i am with mine. I have just bought a new NX luxury with convenience pack and i have a question about the operation of the tailgate. Before anyone suggests, i have read the manual and i cant seem to find an answer. Ok so, my question refers to opening the tailgate using the remote fob. I went shopping yesterday and as i got near the car i pressed and held the tailgate button in readiness to put my shopping away. To my disappoint all i got was a double beep. The only way i could open the tailgate using the fob, was to unlock the car first and then open the tailgate. To me this seems daft, maybe i dont want the doors unlocked, i just want access to the boot. Any comments or tips from those of you that have a power tail gate would be appreciated. 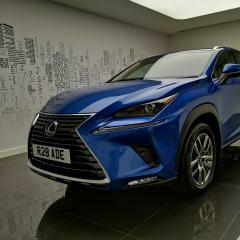 A huge thankyou to everyone at Lexus Cardiff for a wonderful handover experience yesterday. I had 18 months of faultless ownership of my previous NX, then got offered a deal i couldnt refuse. Enter NX Luxury with convenience pack and protection pack. As stated above, premium sat nav was an optional extra on pre face lift luxury models. My 2017 luxury has the standard sat nav with the wheel to control it. The side steps were on it when I bought it, a quite like them. Are you using the same key, some of the memory functions are stored to the key. If you use a different key, some of the things that normally work, may not. Just a thought. My side steps were on there when I bought it. I quite like them to be honest. When you have put the vehicle into park and the handbrake has auto applied, simply apply the footbrake and press the handbrake button down, this will release the handbrake. I do this regularly as mine is parked up all week. Hope this helps.